Even now that fact is hard for many people to accept! The truth is though, the Fast Phobia Cure has now been in existence for over twenty years and has been used successfully on 100's of thousands of people. From simple Poodle Phobias to more extreme cases such as Vietnam war survivors with horrific traumatic memories. Gone are the months of psychotherapy, reliving pain and spending loads of your hard earned cash. 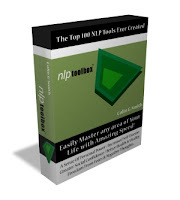 I suspect you've probably heard of NLP by now. To keep it simple NLP is a technology that enables people to model human excellence. The original co-creators of NLP, Bandler & Grinder created the Fast Phobia Cure by modelling people who had had phobias and gotten rid of them. NLP states that, "What one person can do, another person can learn to do the same": Modelling. as if on a movie screen. Just this one step is very useful because it allows you to have feelings about the feelings: Meta Feelings. This enables you to gain useful insights and access more resources. The next part of the process involves re-organising the structure of the phobic response: The anchored associations and triggers that make you have the phobic response. The way this is achieved is by imagining the movie being rewound, so you experience everything backwards. This is done very fast utilising the Half Second Rule. Doing this process scrambles the phobic associations and re-organises your brains synapses so that you learn to have new responses. The entire technique can be learned and applied in less than 10 minutes. Classically the technique is known as the Fast Phobia Cure, however I prefer to call it the Anxiety Removal Machine because it can be used to successfully remove anxious feelings associated with future events and not just phobias. I believe many more people need to know about this amazing technique along with other rapid change techniques that utilise the Half Second Rule. There are many people suffering in the world who would be very pleased to learn about techniques that can 'fix them' within 10 minutes! Learn more about how to take control of your phobias at Real Mind Power Secrets. Click Here! Colin G Smith is a licensed Master Practitioner of Neuro-Linguistic Programming (NLP) and author of 'The NLP ToolBox', a personal development book that enables the reader to master any area of their life with amazing speed. Complete information on Colin G Smith's books are available at his website, including a FREE personal development Course. Researchers at the Department of Anaesthesia and Intensive Care Medicine, the University of Liege, Belgium investigated the benefits of hypnotherapy in assisting local anaesthesia for patients undergoing plastic surgery. 337 patients requiring minor and major plastic surgery requiring local anaesthesia together with conscious intravenous sedation were divided into three groups. The first group received intravenous sedation, the second group received hypnotherapy during which patients achieved an hypnotic trance level, and third group received general relaxation incorporating hypnotherapy without the required hypnotic trance level. Pain scores, anxiety scores and levels of intravenous sedative required were recorded and then compared. The results showed that anxiety scores were significantly lower in the hypnotherapy and relaxation groups and the levels of sedative required were also significantly lower in the hypnotherapy and relaxation groups. Furthermore, postoperative vomiting and nausea was only 1.2 per cent in the hypnotherapy group compared to 12.8 per cent in the relaxation group and 26.7 per cent in the intravenous sedation group. The hypnotherapy group also reported higher satisfaction with the anaesthetic procedure and greater surgical comfort. The researchers concluded that hypnotherapy as an adjunct sedation procedure to conscious intravenous sedation produced greater relief from pain and anxiety than conventional intravenous sedation, enabled significant reduction in drug sedative requirements and significantly improved patients satisfaction and comfort. 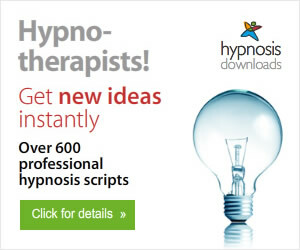 Antonia Stuart-James is an English Hypnotherapist in Belgium . 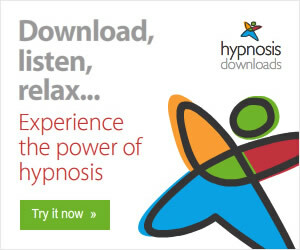 Pain Control Hypnosis Mp3 Downloads are available.